Australian pokies machine manufacturer Aristocrat Leisure are set to acquire 100% of Big Fish Games in the first quarter of 2018. Sydney based Aristocrat announced the acquisition earlier this month, which will see the hand-over of Big Fish for $1.3bn. With its headquarters located in Seattle, USA, Big Fish is a subsidiary of the Thoroughbred horse racing operators Churchill Downs. This business deal will make Aristocrat the second-largest social casino gaming organisation in the world by its revenue. Big Fish are renowned for creating desktop and mobile games that have gained a huge following over the years. Some of their fan favourites include; Cooking Craze, Fairway Solitaire and Big Fish. Aristocrat claim to have made the purchase to increase diversification as well as increasing their social gaming positioning on the current market. Already top-dogs in the casino world, Aristocrat expect this move will lead to a doubling of its size in the casino world. According to Chief Executive Officer at Aristocrat, Trevor Croker, the acquisition was a ‘logical step’, and will promote better business. 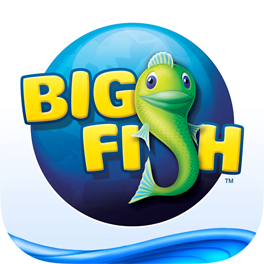 “The acquisition of Big Fish will immediately provide scale across our entire digital platform, following the recent acquisition of Plarium, which expanded our digital business into the fastest growing social gaming market”, Croker said. It’s alleged that the purchase has been approved by the company’s board of directors and is expected to be finalised in the first quarter of 2018. Heavily focused on the creation of pokies machines, Aristocrat are supposedly exploring the concept of mobile and desktop gameplay. This is evident from their recent purchase of Plarium Global, a mobile-gaming focused company. Plarium offers major titles such as; Vikings: War of Clans, Soldiers Inc. and Sparta: War of Empires. Aristocrats net value was reported to be in around $300m+ which is a 41% year on year increase.